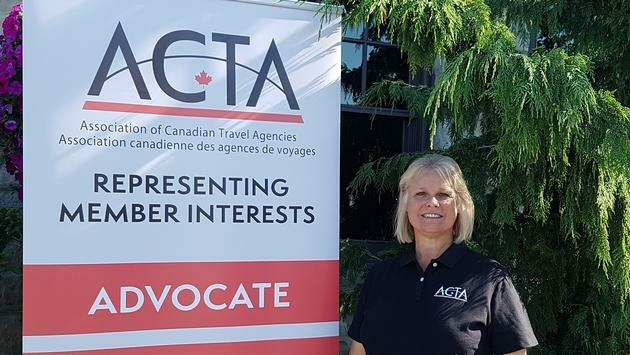 TravelPulse Canada has learned many ACTA members, along with members of Canada’s Travel Industry were shocked yesterday after an announcement outlining the details of a new exclusive partnership with Virtuoso was released. Many ACTA members, along with members of Canada’s Travel Industry were shocked yesterday after an announcement outlining the details of a new exclusive partnership with Virtuoso was released. “Virtuoso Becomes First Exclusive Travel Consortium Partner of ACTA,” the headline read. Amongst other items, the announcement said that existing ACTA members who are part of Virtuoso would be receiving at 30% rebate on their ACTA fees and a 30% discount on CTC, and CTM courses. Click here for the complete release. The widely accepted view is that ACTA’s role is one of representation for all travel agents and agency members. The concern with forming an exclusive partnership with one consortium has left many in the industry scratching their heads. Can ACTA can be impartial and bipartisan with partnerships such as these in place? In fairness, ACTA is in a very difficult position. To advocate, lobby, etc. the group needs income to fund their various initiatives. It has become quite apparent much-needed revenues are driven off of partnerships agreements with industry suppliers and advertising sales, which invariably impedes their ability to be impartial. The old don't bite the hand that feeds you scenario. This revenue structure does beg the question, however - if members, largely travel agents, aren’t prepared to pay the required fee structure to fund a group of this nature, do they really need one? Do they really care? Greg Luciani CEO of Travel Only gave us his thoughts on the issue. “ACTA is doing what any for-profit business would do to survive...look for ways to evolve and generate additional membership and revenues in the face of diminishing margins, membership and influence. ACTA's brass determined that an exclusive virtuoso partnership was a good business decision - like it’s not so recent decisions to go after tourist boards and suppliers for training and marketing revenues that could have gone directly to the retailers/publishers/consortium." It is very disappointing to see that ACTA has done an exclusive agreement with any organization, as I have always felt that ACTA is for ALL consortiums and the agents those consortiums represent. We certainly hope to see ACTA have a more inclusive position going forward. In fairness, it is a fantastic partnership for Virtuoso and they should be congratulated for pulling it together. The partnership delivers great value for both new and existing members of their organization. In an email exclusive to Travel Pulse Canada, Canadian Director for Virtuoso Tim Morgan confirmed that the “Exclusive Arrangement” comes with a one year term. Please comment below and leave us your feedback. or drop us a line at Canada@TravelPulse.com . Do you feel these partnerships impede ACTA’s ability to impartial and bipartisan?